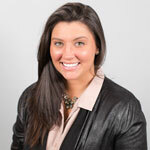 Stephanie joined the recruiting team at Friedman Williams in 2018. Throughout her previous roles, Stephanie has overseen each organization’s recruiting methods, interviews, and hiring standards from intern levels to school administration. Alumna of St. John’s & North-central Universities, she possesses over a decade of experience in creative work involving marketing, editorial, public relations, production, and start up organizations. Outside of her professional career, Stephanie enjoys writing for several online publications and traveling.